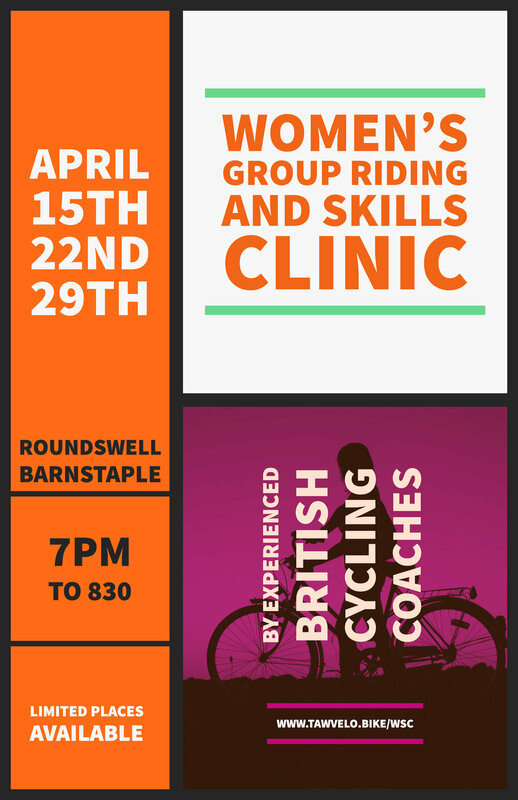 Taw Velo’s women’s group riding and skills clinic is a great opportunity for ladies with any level of cycling skills to build their confidence and skills for road riding either on their own or in groups. The coaching will take place in a safe, traffic free, outdoor environment delivered by British Cycling trained and qualified coaches. The sessions will be around 90 minutes and take place in Roundswell near Sainsburys, more information on location will be provided on enquiry. Road side parking is available close by. The sessions will cover a range of riding skills and aptitudes. Starting with the basics of understanding your bike and how to check that it is safe. Starting and stopping, body position, gear selection, cornering and group riding skills. The sessions are not about conditioning or training they will be entirely skills based. Club Chair and level 2 BC coach, Adrian also races in Triathlon and Cyclocross and coaches every Saterday for the clubs youth section. Adrian rides regularly on and off road. The session is aimed at road cyclists so ideally a road bike with drop handle bars and gears, in good working order with either flat or clipless pedals. Hybrid style bikes will also be fine. You will need appropriate clothing and PPE. Appropriate clothing for the weather. The sessions will go ahead whatever the weather is doing, cycling is after all an outdoor sport so dress appropriately, there will be somewhere to put clothes if you have too many. The sessions are skills based not about riding hard remember its a lot easier to cool down a warm rider than warm up a cold one. Gloves, not compulsory but advised. For non club members sessions will cost £10 for all three, this is an upfront cost required to cover expenses. Taw Velo are a none profit community club dedicated to delivering national standard coaching to a wide range of people and promoting cycling in the South West. Taw Velo has the highest number of qualified coaches of any club or organisation in North Devon so don’t be put off by the low cost, its about making cycling accessible and delivering great quality sessions! This course is now fully booked but if you would like to register your interest for future courses please complete the below form. Thank you, Adrian will be in touch soon.